Is there anything new popular music can say about romance? Boy meets girl has been done to death, but boy and girl meet another girl, now that’s not your average love song. It’s curious, challenging territory, but this is where Ruban Nielson takes us with the third album from his indie-funk-pop project, Unknown Mortal Orchestra. The literally titled Multi-Love adopts a confessional approach, charting the agonies and ecstasies of a year-long polyamorous relationship, when a third party joined the family unit in their Oregon home. A backstory like this runs the risk of overshadowing the album itself, but Nielson crafts a soundscape so seductively inventive, that Multi-Love is quite a triumph. Similarly, the content might have resulted in a self-indulgent mess or just revelled in salacious details, but the song-writing takes an honest, often deferential approach that ends up feeling brave and curiously insightful. And it’s not all introspection, particularly as the album progresses, with Nielson turning attentions to the state of the world; ‘Extreme Wealth and Casual Cruelty’ targets socio-economic inequalities, while in final track ‘Puzzles’ he shares his confusion about the hypocrisies of America, his adopted homeland: “I don’t want to solve your puzzles anymore”. The great appeal of the album is the way the music gels. It’s a fantastic, innovative mix: what you might get if you threw Prince, Freddie Mercury, Daft Punk and Stevie Wonder into a blender. Every aspect feels like it has been meticulously placed, making it a real treat to listen through the headphones. With a huge wall of sound at some points, the LP seems like so much more than one man working away in his studio basement. Of course, the recording itself involved a few other players, but it is still essentially a homemade product. However, for all the wizardry on show in Multi-Love, the real strength lies in its testimony to creativity and good, honest song-writing. Multi-Love is out now from Jagjaguwar. 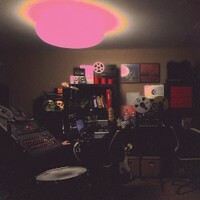 Posted in Music, Reviews and tagged Album Review, Multi-Love, Ruban Nielson, Unknown Mortal Orchestra. Bookmark the permalink.